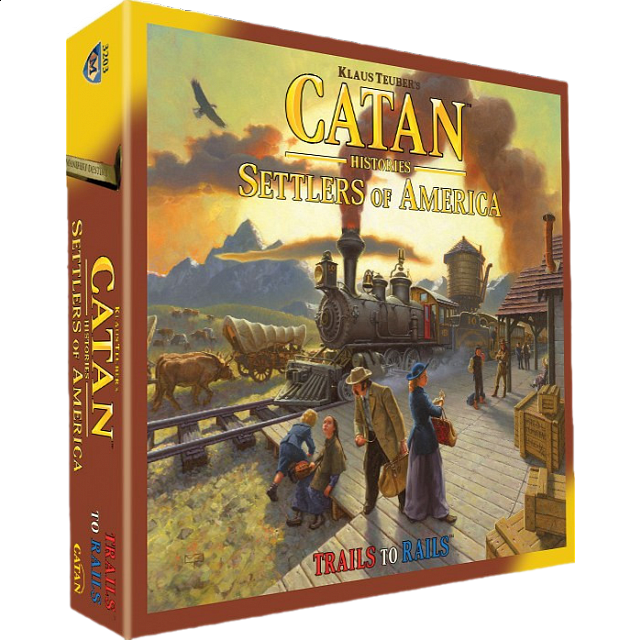 Settlers of America, Trails to Rails™ utilizes the simple, fun Catan hex-tile grid to map the young United States. Collect and trade resources in order to purchase and move settlers, build cities, lay rails and acquire and move trains. Create rail links to acquire gold, which lets you buy resources and use opponents’ rails. Use trains to distribute goods to rival cities. But, as your settlers populate the West, they deplete the resources of the East. Still, your options always abound.